Solve your storage dilemma and increase your pollen collection with this beautiful bamboo wood sifting box. Just toss your material on the stainless steel mesh screen and watch as your material collects on the glass mirror tray below. 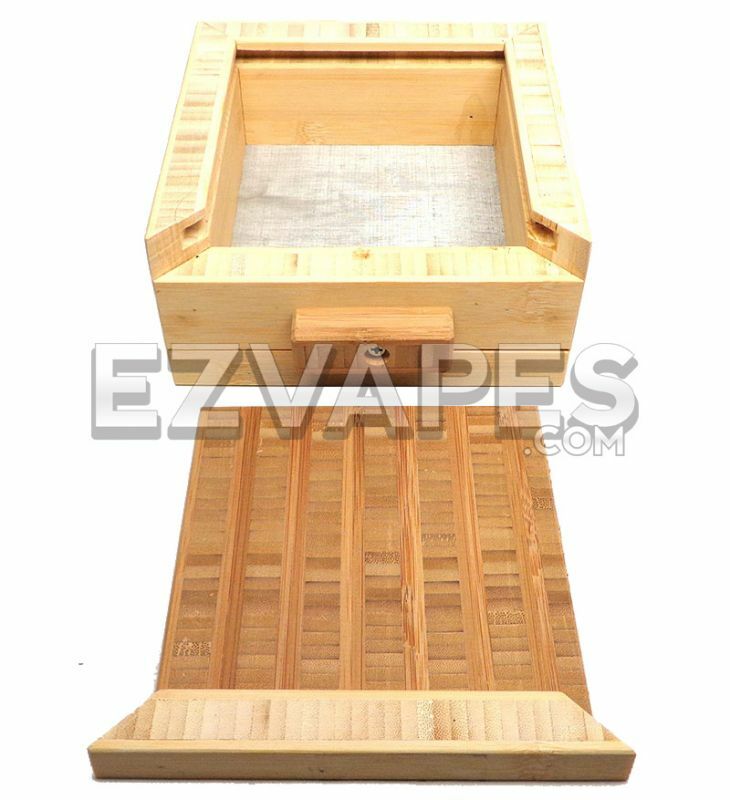 This bamboo sifting box features a removable lid and glass mirror plate for both easy collecting and cleaning. There is a small wooden latch on the front of the box that locks everything in place for safe storage or travel and easily twists open when you need it to. The medium size bamboo box measures in at 6 inches long, 6 inches wide, and 3 inches tall. 1 x Bamboo Sifting Box 6" x 6"